Around half of all reductions in new HIV infections in the past two years had been among children. TWENTY-FIVE COUNTRIES, many in hard-hit Africa, have at least halved new HIV infections in the past decade, with particular progress made toward protecting children from the deadly virus, the United Nations said Tuesday. “We are moving from despair to hope,” Michel Sidibe, the executive director of UNAIDS, told reporters in Geneva, pointing out that around half of all reductions in new HIV infections in the past two years had been among children. In its annual report on the state of the global pandemic, UNAIDS said that 25 low- and middle-income countries had managed to at least halve their rate of new HIV infections since 2001, representing a reduction of 700,000 new HIV infections. 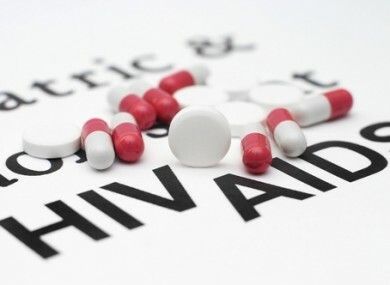 More than half of those countries were in Africa, the region most affected by HIV, the agency said, pointing out for instance that Malawi had cut new infections by 73 per cent, while Botswana had seen a 68-percent drop. Globally, new HIV infections fell to 2.5 million last year from 2.6 million in 2010 and represented a 20-percent drop from 2001, UNAIDS said. Last year, 330,000 children worldwide were infected with the virus that causes AIDS, down from 370,000 in 2010, and 43 percent fewer than in 2003, UNAIDS said. And in sub-Saharan Africa — a region that today is home to 90 percent of the world’s infected youngsters — the number of children newly infected with the virus that causes AIDS dropped 24 percent between 2009 and 2011 alone, UNAIDS said. The number of global deaths linked to AIDS has meanwhile fallen for five consecutive years, the agency said. In 2011, 1.7 million people died from AIDS-related causes worldwide — down 24 percent from 2005 and nearly six percent below the 2010 level, according to the report published ahead of World AIDS Day on December 1. That corresponds to more than half a million fewer deaths in 2011 than in 2005, UNAIDS said. “A new era of hope has emerged in countries and communities across the world that had previously been devastated by AIDS,” said the agency, which spearheads the international campaign against the disease. Despite the general progress however, the number of people living with HIV rose slightly last year to 34 million, up from 33.5 million in 2010, according to the report. In sub-Saharan Africa — the epicentre of the epidemic — the number of people dying from AIDS-related causes fell by 32 percent, or from 1.8 to 1.2 million, between 2005 and 2011. And the Caribbean — the second most HIV affected region in the world — saw AIDS-related deaths fall by 42 percent between 2005 and 2011. While most of the world has made great strides in the battle against HIV and AIDS, UNAIDS lamented that Eastern Europe and Central Asia had seen a 21-percent hike in AIDS-linked deaths between 2005 and 2011, when 92,000 people died. During the same period, AIDS-related deaths rose 17 percent in the Middle East and North Africa, to 23,000, while new infections in that region have soared 35 percent since 2001, the report showed. Overall, UNAIDS credited the drop in Aids-related deaths to greater access to antiretroviral therapy and the steady decline in HIV incidence since the peak in 1997. Since 1995, HIV treatment has saved 14 million life-years in low and middle-income countries, including nine million in sub-Saharan Africa, UNAIDS said. However, the report lamented, some seven million people worldwide cannot access the life-saving HIV treatment they are eligible for, including a full 72 percent of children living with the virus and eligible for treatment. Email “UN hails sharp decline in HIV infections in children”. Feedback on “UN hails sharp decline in HIV infections in children”.